A fresh and natural floral perfumed Multi Surface Cleaner from Ecover designed to cut through grease and grime effectively using the natural power of biological processes. 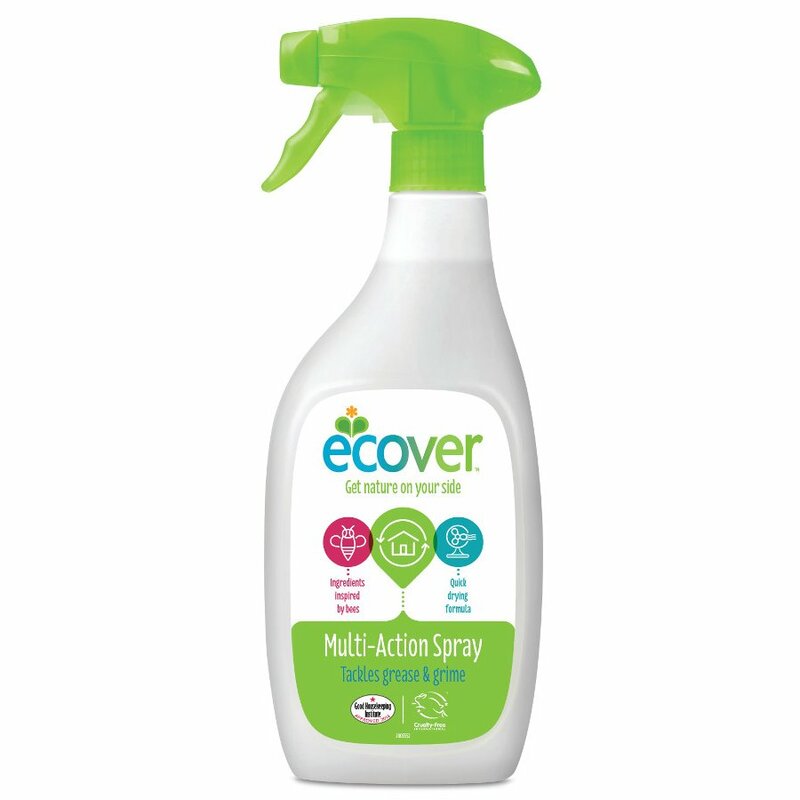 Suitable for all surfaces and safe around food this eco-friendly Multi-Surface Cleaner has been developed using Ecover’s pioneering Ecosurfactant Formula. With quick and complete biodegradability it is designed to have miniumum impact upon aquatic life. Instructions for use: This all purpose spray cleans and shines a wide variety of household surfaces. It is particularly suitable for kitchen and bathroom surfaces tiles glass enamel baths basins acrylic and chrome. Spray lightly over the surface and wipe clean. No need to rinse. Aqua, Alcohol, Lauryl Polyglucose, Potassium Soap of coco and olein fatty acids, Sodium Octyl Sulfate, Parfum, Limonene, Xanthan Gum, Citric Acid, 2-bromo-2-nitropropane-1,3-diol. There are currently no questions to display about Ecover Multi Surface Spray 500ml.